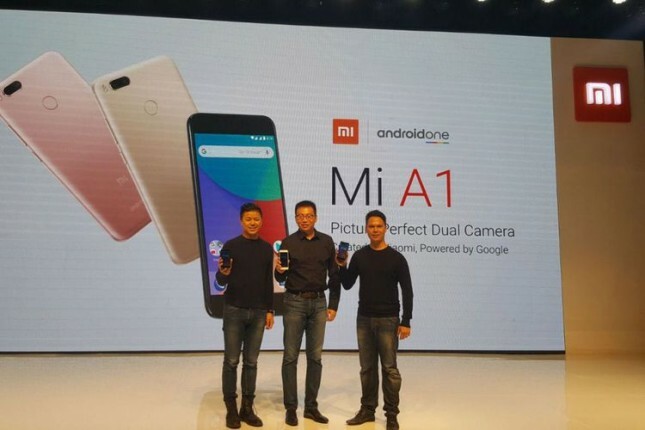 INDUSTRY.co.id - Jakarta, global technology leader Xiaomi officially launched Mi A1 in Indonesia. Mi A1, first introduced in India earlier this month, was the result of Xiaomi's collaboration with Google, making it the first device to run in the evolution of the Android One program. The launch of the Mi A1 marks Xiaomi's big step in Indonesia, as Mi A1 is the first locally produced "Mi" device, and further strengthens Xiaomi's commitment in this market. Xiaomi Senior Vice President Wang Xiang said Mi A1 became a strategic tool in our global expansion program and became an important step in our mission to bring innovation to everyone. "From the beginning, Xiaomi always put forward the diversity of choices, and we are very excited to offer a new way to feel Xiaomi's toughness," Wang said in a written statement received by INDUSTRY.co.id in Jakarta (9/22/2017). In addition to India and Indonesia, Mi A1 will also be available in more than 40 other markets around the world. Wang emphasized that the launch of Mi A1 in Indonesia, which was done in close proximity to its first release in India, marked Xiaomi's commitment to bring its newest device to Indonesia. Meanwhile, Google's VP of Business & Operations, Android & Google Play, Jamie Rosenberg says, by taking the next step with Android One, we're excited to work with partners around the world to bring the best experience with high-quality Android devices for more users. The Mi A1 combines design excellence with a pure Android experience, access to Google's best built-in services, and a commitment to future software and security update updates. "We are very excited to welcome Xiaomi and Mi A1 into the Android One family." he said. Priced at Rp3.099.000, Mi A1 is a device with an elegant design that combines hardware innovation, including optical zoom settings on dual cameras, which is certainly reinforced by Google's flagship software design. Registration for the purchase of Mi A1 starts from September 25 to 30, followed by a flash sale that will be done for four days from October 2 to 5 at Miada's Official Store Lazada. Mi A1 will also be available in limited quantities at Authorized Mi Store Pondok Indah Mall and Summarecon Mall Serpong starting October 2, before it can be purchased through Erafone and TAM's official distribution network in Indonesia on October 6th.